The Little Princess Trust is a UK charity dedicated to providing wigs and support to children with various forms of hair loss including alopecia areata and hair loss caused by cancer treatment. Most boys and girls cope remarkably well when their hair falls out. For some children, however, this can be extremely upsetting. This is particularly true of young girls, hence the name, Little Princess. However, to reflect the number of boys also affected, in the summer of 2017 the charity also launched Hero by LPT, its division dedicated to helping boys and young men with hair loss. In addition to its services in providing real-hair wigs free of charge, the charity also funds research into childhood cancers. In 2016, the Little Princess Trust announced that it had raised £500,000 so far. 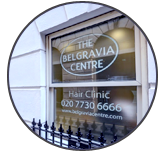 Belgravia will be sponsoring and supporting The Little Princess Trust and would be grateful if you could also do whatever you can to support this worthwhile charity, in order to help these children that have been affected by hair loss. Please visit the Little Princesses Website or the Hero by LPT website for more information on what you can do to help, or to make a financial donation.